Bankwest customers to have adopted the financial institution’s Halo ring are now undertaking more than a quarter of their purchases via the wearable device. That’s just one of the insights Bankwest has use to highlight the rapid uptake of emerging technologies across its customer base, as well as the group’s ongoing plans to adopt digital technologies and data insights as part of its wider engagement efforts. The most recent is the adoption and launch this week of Apply Pay services to customers, following the lead of parent company, Commonwealth Bank, this month. It also includes the debut last August of a new in-app messaging service for customer service conversations across devices, off the back of making cross-device Web messaging available last June. The Halo ring was released 12 months ago and is available to those with a Bankwest transactional account. According to the banking group, customers with both used the ring for 28 per cent of all purchases in 2018. In addition, the ring accounted for 38 per cent of all debit transactions made by customer in December.About 15,000 customers have a ring. “The speed at which using the Bankwest halo has become the norm for so many of our customers shows how flexible Australians are in the manner in which they want to be able to pay for their goods and services,” Bankwest executive general manager of customer solutions and insights, Pieter Vorster, said. On top of this, Bankwest has undergone a transformation to a new agile way of working over the past 18 months, a move yet again aimed at better meeting customer expectations. The group went live with enterprise agile last July, impacting approximately two-thirds of its organisation. 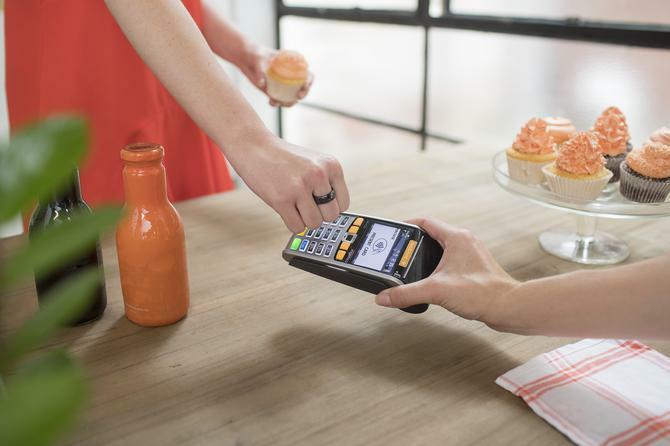 This was crucial to delivering the Apple Pay platform option this week, Vorster said.